There is no denying just how fun it is to have man’s best friend in the seat of your car as you drive to the beach, to visit family and friends or to the vet’s. Your dog will stick his head out the window as the tongue sticks out of his or her mouth and the excitement of the wind as you drive is nothing short of adorable. The price for such a trip is a car full of dog hair. Now, even if you do not have someone with allergies using your car, you still need to clean up the car seats and this can be a daunting task. Each of these items will come in handy. 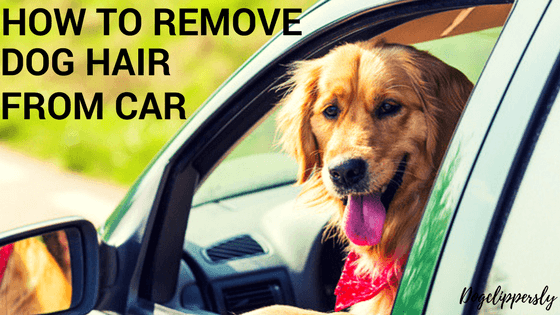 The first step in removing dog hair from your car seat is using a vacuum cleaner. This cleaning appliance is able to pick up all the loose hairs in the car seats. When you are buying a vacuum cleaner, you should get one with different attachments to make this step easier. Step two involves rubber gloves. You will also need water and fabric softener. Wear the rubber glove and the spray the car seat with water and then run your hand over the car seats. This will break the static and make it easier for the hairs to collect in balls. The alternative is to spray your rubber glove with water then run your hand on the seats. How you choose to do it is a matter of preference. Some hair can be extremely stubborn. If you find yourself in such a case, you should add some fabric softener to your water spray bottle. This will help to further loosen the hairs. Like before, spray the fabric softener mix on the car seat or on your glove then run your hand over the car seat so the hairs collect in balls. At the end of this step, you still need to come in with your vacuum cleaner. The process might help loosen some hairs but not all of them will be caught in the little balls. This appliance will be able to catch the loose errant hairs. If you still have dog hair all over your car seats, you can proceed to the next step. Break out your lint roller. This is quite soft but it can collect a number of hairs from your seats. You can then follow it up with a pumice stone. For this, you are relying on the hard and rough surface of the stone. Run it over your car seats to loosen hair that is deeply embedded or stuck in the fabric. You would not be able to do this with a rubber glove as it is likely to tear and you still will not achieve your objective. The pumice stone is able to get to some hidden corners and small spaces. Like before, the dog hair will collect in small balls which you can remove with your hand. If you do not have a pumice stone, a brush with hard bristles will also do the trick. Remember that you will need to pass the vacuum cleaner over the seats again. This will catch all the loose hairs that have not been caught in the balls as you brushed the seats. The three-step process is crucial if you desperately need to clean your car. There is so much hair on the seats especially when your friend is extra excited and keeps moving around during your ride. You cannot be angry about this. In fact, now that you have seen the mess your dog can leave behind after such a fun ride along, you have two options: to resist his or her charm and leave him or her behind whenever you go driving or to find preventative measures to ensure that no dog hair gets stuck on your seats. ​Even if it isn’t possible to completely eliminate the hair, you can reduce the amount left in the car seats for cleaning. Putting down a blanket in the car whenever you are driving with your dog in the car. This creates a barrier between the dog and the car seats. You can switch out the blanket once your dog is back home and deal with dry cleaning it which is much easier. Brushing your dog’s mane before they get in the vehicle. This will catch some fly-aways and also help to reduce shedding. You definitely know how it is to have a dog. They are so adorable, friendly and there when you need them. It is not a wonder that they are known as man’s best friend. It is therefore extremely hard to deny them their hearts desire. Often that desire is to ride with you in your car. When you think about the hair that you will have to clean up later, you are faced with a tough choice: to let the dog come or leave him or her behind. You no longer need to get stressed over taking your dog with you. The process of cleaning up hair from the car seats is pretty easy and straightforward although it requires a lot of patience.